Sign Your Kids Up for Science Summer Camp Fun! Are you looking for exciting activities for the kids this summer? You’re in luck! 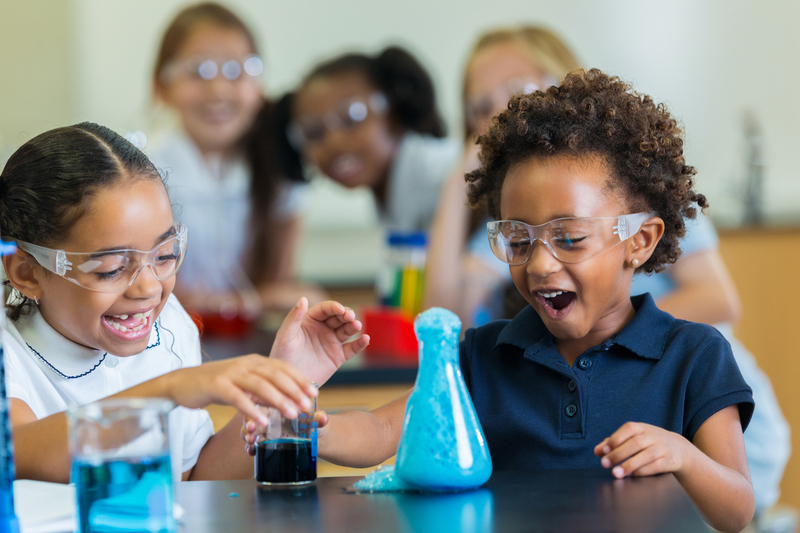 Your children can learn and play at Mrs. Jackson’s Science Summer Camp. Check out the details below and sign your kids up today. If your child is a science wiz, or if they are at all interested in learning about this subject, this camp is just right for them. The sessions at Mrs. Jackson’s Science Summer Camp are packed with valuable knowledge that they’ll learn through interactive and hands-on activities. Best of all, there’s a wide array of areas in which these sessions will focus on. This way, you can perfectly tailor their experience to fit their interests. Feel free to sign your child up for one session or for all of them! If your child does attend 2 sessions in a day, be sure to pack a sack lunch and drink for them to take along their summer camp adventure. Session 1: Who Stole the Missing Cake? The first session focuses on forensics, as the children use forensic clues to determine the culprit. Camp attendees will sculpt clay figurines, design special effects, and build scenery as part of a short stop-motion animation. During this session, campers will use spy tools, secret codes, and make invisible ink in order to crack secrets codes. At the end, they’ll unlock a hidden treasure! During this exciting session, campers will build and launch their very own rockets! Things are taken to a whole new level with the Cool Science with Chemical Reactions session! That’s right – campers will be guided with experiments and chemical reactions. Let the fun begin! Are you in need of a high-quality vehicle to keep your summer fun going? Find the perfect family vehicle right here at Jay Hodge Chevrolet in Sulphur Springs, TX. The professionals at our dealership will gladly go the extra mile to get you into a spacious vehicle that will meet your needs. We look forward to seeing you soon!